Not all of them are favourites of mine. 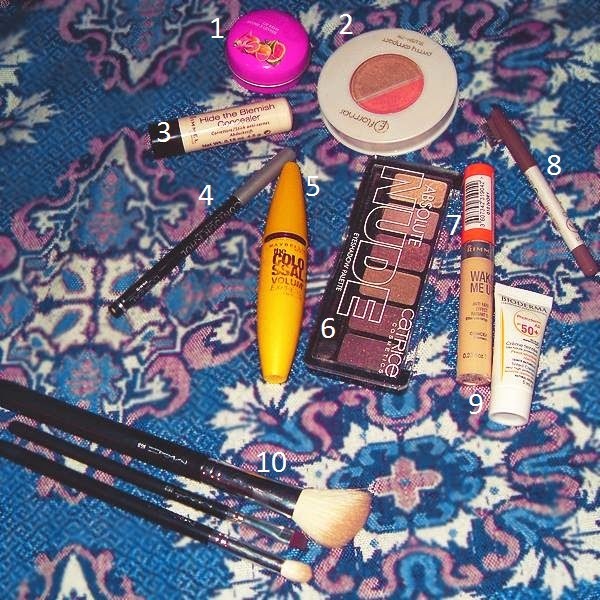 Some I use on a daily basis just to finish and buy a new product. However, these stand out and I would buy them again. 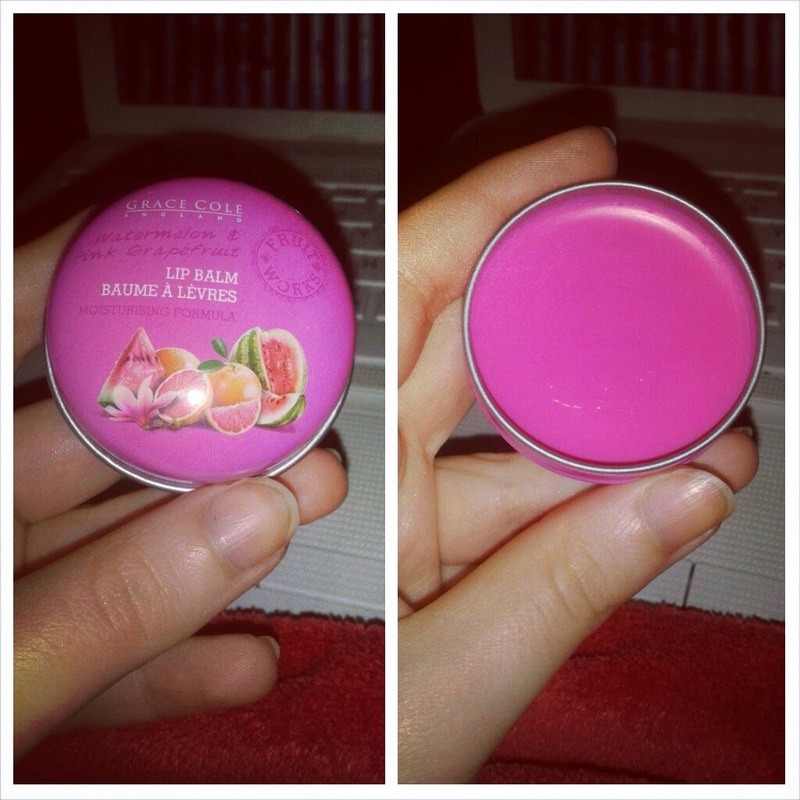 The Grace Cole England lip balm has a moisturizing formula, which does good things to my usually chapped lips. It's also pigmented and the colour looks lovely. It may not be to everybody's taste though. 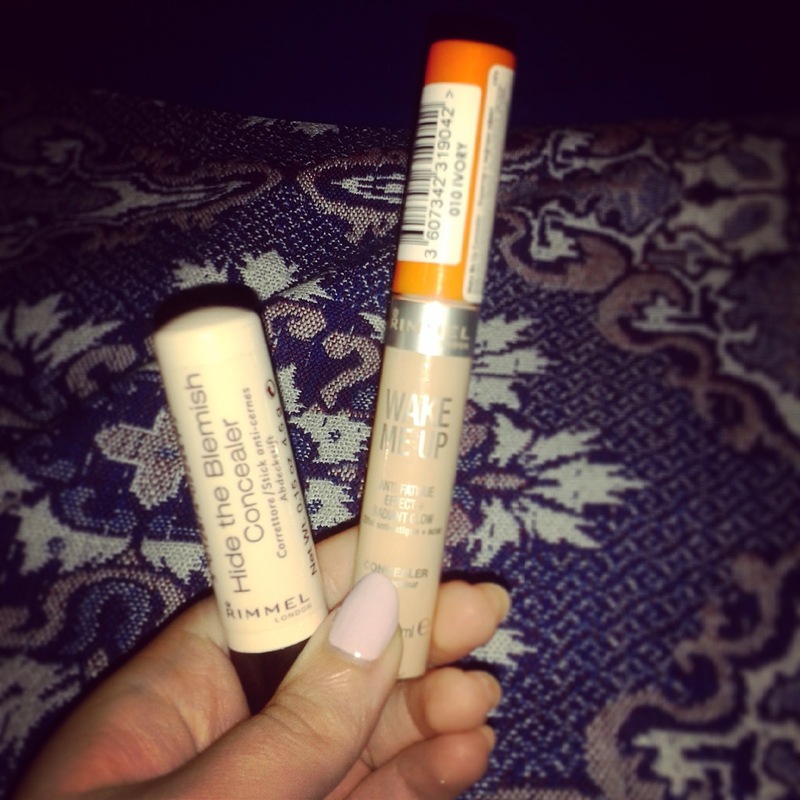 The two Rimmel London concealers are amazing. I use the Wake Me Up one under the eyes and Hide the Blemish to well... hide blemishes and spots. On good days I don't use any foundation and even just one of them is enough to make me feel better about myself. The ones I got from Essie were a bargain - buy one get one free. The first time, I bought Watermelon and as a gift I got Go Ginza. Watermelon is a vibrant summer colour, which I would recommend to any nail polish lover. Go Ginza is a pastel pink/purple and is also lovely. I decided to go to the store for the second time and got Lovie Dovie, which I absolutely adore. It's very girly and very pink, but since I adore pink it's the perfect colour for me. The free one was Parka Perfect and it turned out to be a very pleasant surprise. I couldn't see it quite well in the store, but once I got out I took a good look at it. It's a gray/blue colour and has a bit of a sparkle. 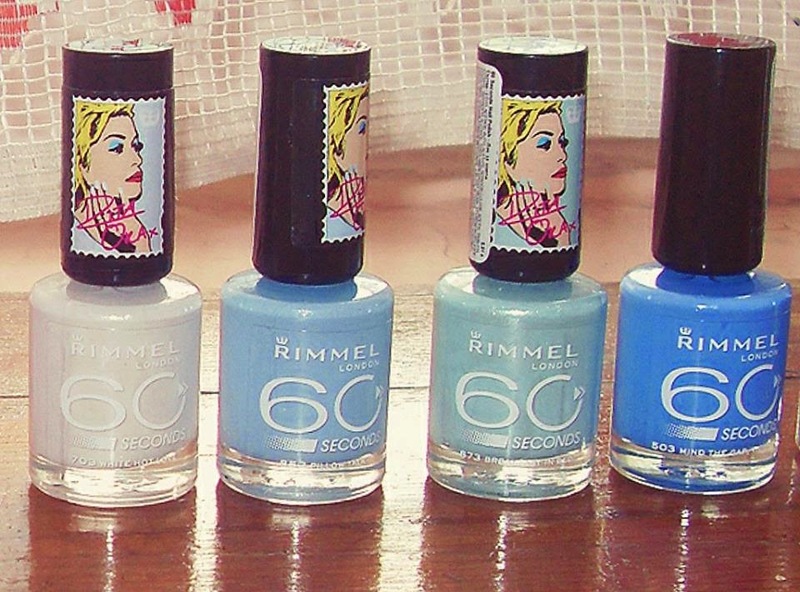 Moving on to Rimmel London, one of my favourite make-up brands. I had waited patiently for the Rita Ora collection and it finally arrived. 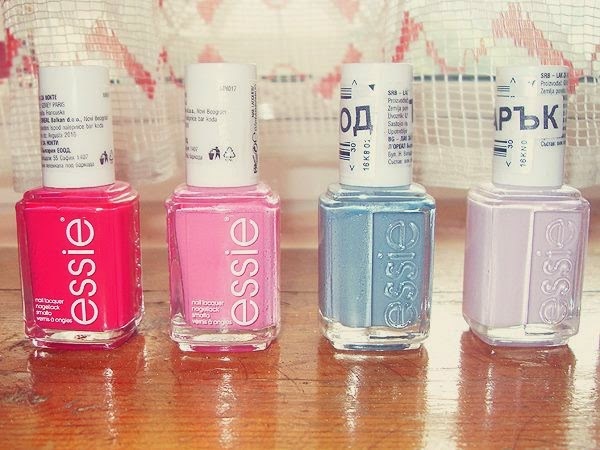 Of course, I couldn't get just one nail polish, so I got three. For now. The ones I have are White Hot Love, Pillow Talk and Breakfast In Bed. My favourite out of those is definitely Breakfast In Bed, as it's similar to Mint Candy Apple by Essie, which I couldn't find anywhere in good quality. I also bought Mind The Gap Victoria, which reminds me of Bikini So Teeny. I can't wait to try them out. 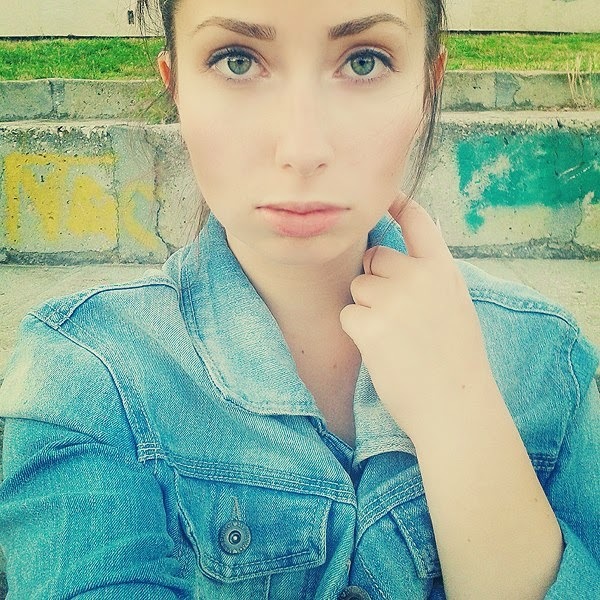 Finally, I found this little gem very unexpectedly on a Bulgarian website. 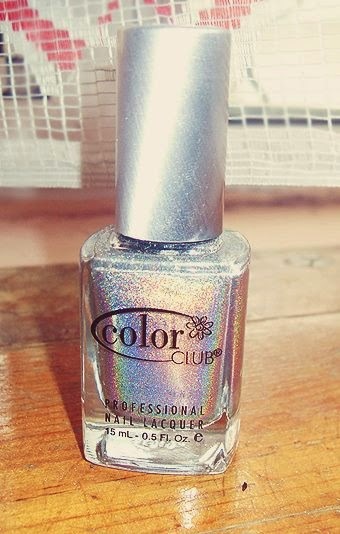 I had wanted a holographic nail polish for such a long time and this is the perfect one. The colour on my nails right now is Go Ginza by Essie, since I've been loving pastels. I have Pillow Talk by Rimmel London on my toes, but let's be honest, no one really wants to see a photo of my toes, so I'll spare you. I went out with a friend today, which quickly turned into a shopping spree. I wanted to wear something comfortable, but still pretty. 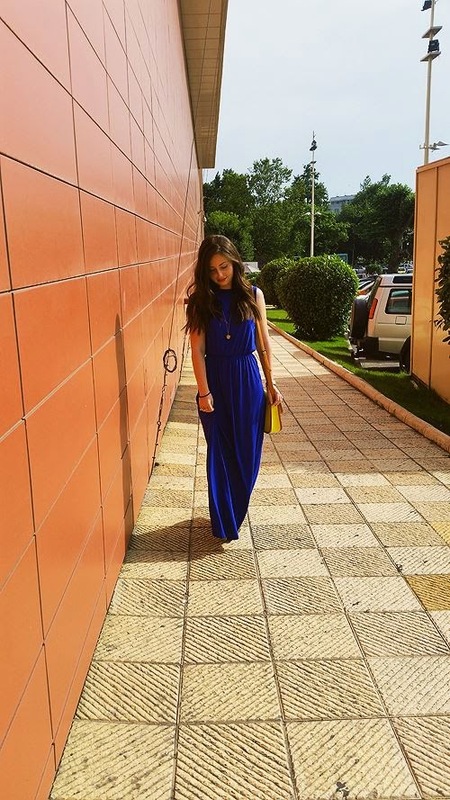 I went for a H&M maxi dress in a royal blue colour, which I bought last month, but hadn't worn yet. To make the look more casual, I put on a pair of gladiator sandals from Deichmann and accessorized with a neon yellow bag (which I got on sale from Terranova). Jewellery-wise, I wore my favourite rose gold watch, a long golden apple necklace from H&M and a double ring, which God knows where it's from. I had a lovely day out and did spend quite an amount of money. Oops. I decided to create this blog, because it's been something I've wanted to do for a long time. I thought it's best to do it now, since I've been having plenty of free time recently. I don't have any expectations regarding the future of it. I'm starting this out as something fun to do. 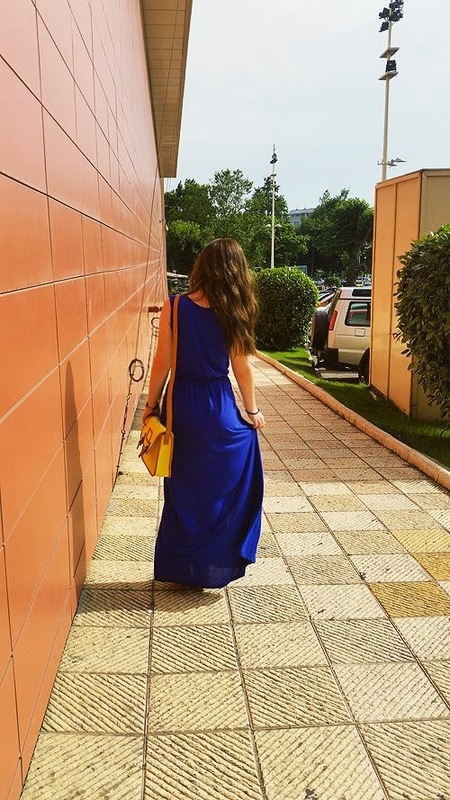 What I'll be posting here is still somewhat a mystery to me - I'm guessing anything that interests me or captures my attention, which most of the time is clothing, jewellery, cosmetics and food. Also, I am very new to this experience. I've had a blog on tumblr for a while now, but never posted much myself. So I apologise in advance if I don't meet your expectations of what this is going to be or mess up somewhere along the way. That is all I can say as of right now.